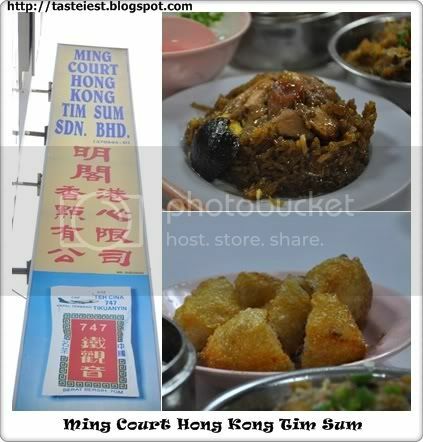 Ming Court was another famous Dim Sum in “Dim Sum Street” Ipoh, where the same street you found Foh San and Yoke Fook Moon. It kinda hard to get table so table sharing is a norm here, when you sat down those aunty will “throw” everything into your table, just make sure those are what you want and they mark it correctly. 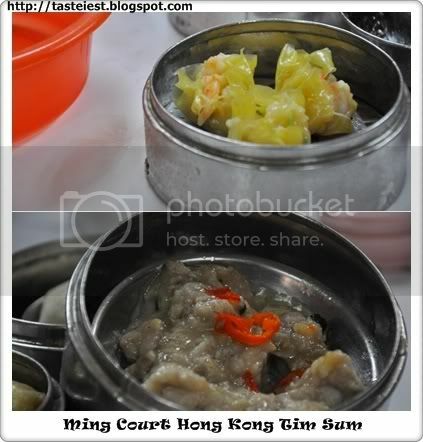 Prawn Dumpling skin is yellow color and transparent but it was very small. Bah Kut is soft and juicy. 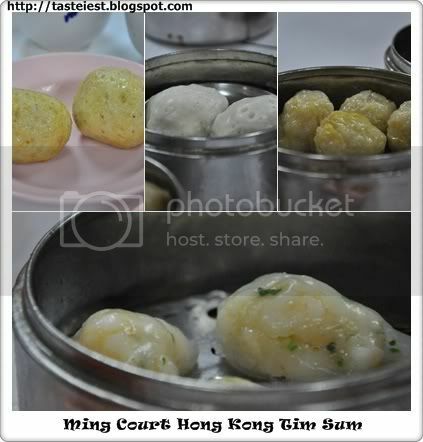 Fish Ball (Top Left and Center), it just taste normal. 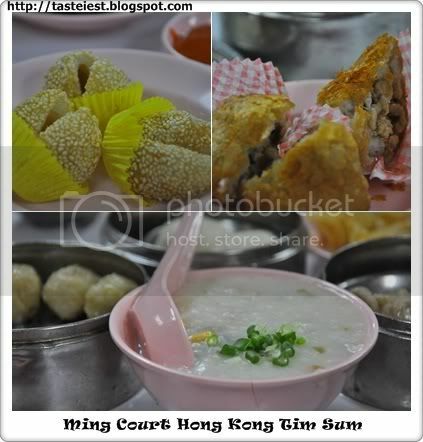 Siew Mai(Top Right) and Har Kao(Bottom) are just typical Dim Sum, Har Kao is tasty with big prawn inside and and transparent skin. 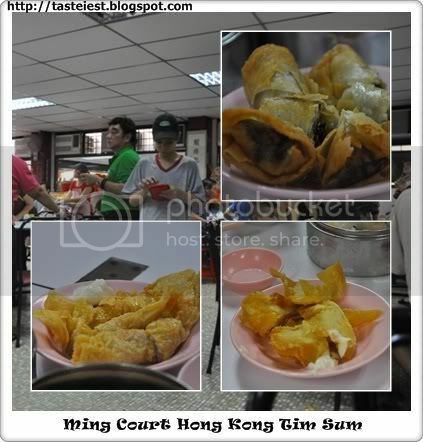 Some deep fried Dim Sum, Deep Fried Spring Roll(Top Right), Fried Prawn Roll and Dumpling (Bottom) is crispy and a lot small prawn inside, take together with mayonnaise is perfect. Wu Kok(Top Right) was made of crispy yam skin and stuffed with char siew. Porridge(Bottom) is just normal. 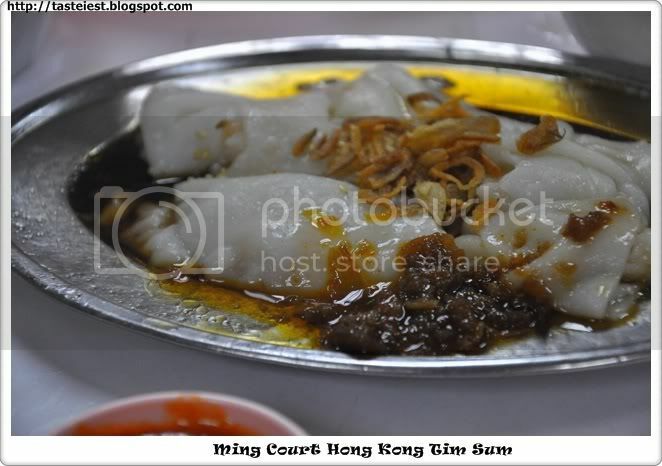 Chee Cheong Fun stuff with Char Siew and Prawn, Sambai on the side. Nothing special. 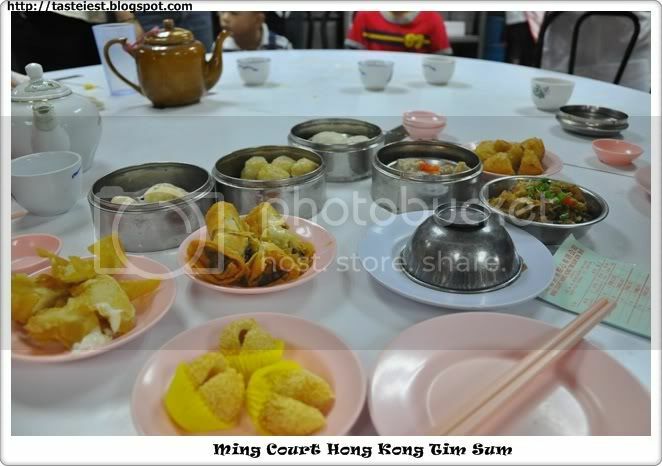 This is what we ordered for 3 persons. 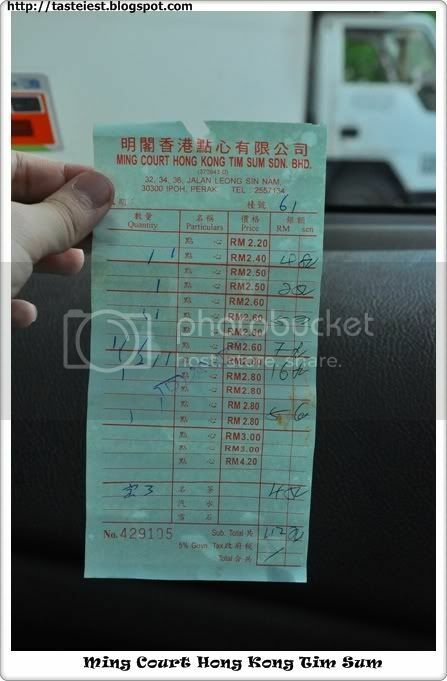 Receipt, price is reasonable but the portion is very very small compare to other Dim Sum Restaurant.